Congratulations to Caltech and two of its players for being recognized by the SCIAC for the 2011 conference season. Ryan Elmquist received the Ducey Award, the prestigious honor granted to a senior each season who truly exemplifies the term student-athlete. Besides hitting the game clinching, streak busting, out-of-this-world free throw in last Tuesday's season finale, Elmquist made his mark(s) on the basketball program. He'll graduate as the 2nd all-time leading scorer, leading shot blocker, and leading free throw maker in Tech history. For a Q & A with Elmquist from TwinCities.com, click here. Other articles featuring the senior headed to Google are the StarTribune.com and Rivals.com. Todd Cramer was named 2nd team all-conference. He is the only freshman on the all-SCIAC teams and the first all-conference Caltech player since Bryan Hires in 2007-08. Cramer led the league in assists and was second in assist to turnover ratio. He was the only player to be ranked in points, rebounds, assists, steals, and free throw percentage. He also eclipsed the Institute record for assists. For Cramer quotes, check out Rick Reilly's latest column and NBC Sports. The California Institute of Technology has produced 31 Nobel Prize winners. 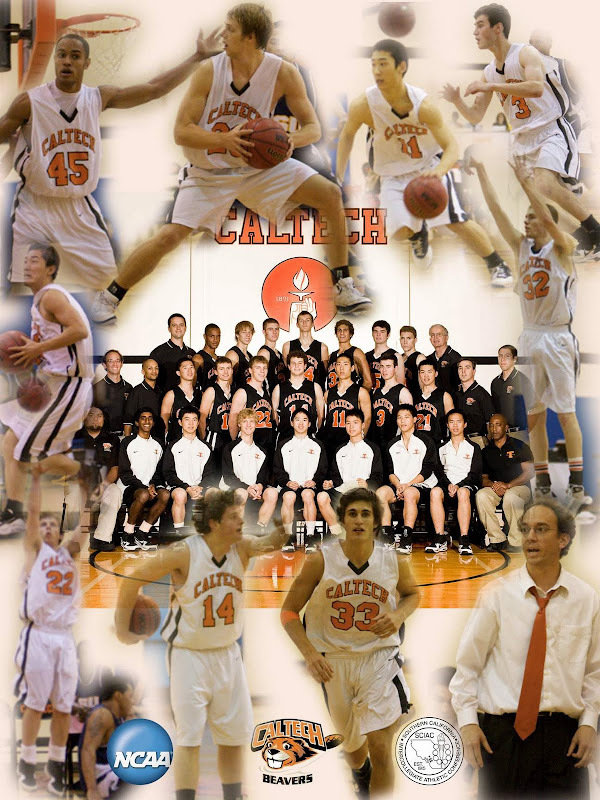 (Caltech) had also lost 207 consecutive basketball games until a huge win in 2007. The team had lost 310 Southern California Intercollegiate Athletic Conference games until beating Occidental in the final regular-season game, 46-45, last week. (Caltech) finished 5-20. The second leading scorer in the Occidental game was freshman Todd Cramer of Blue Bell. He went to Chestnut Hill Academy and is a two-time Philly Maccabi gold-medal winner. Next season, (Caltech) needs to play at the Palestra. And bring Occidental along.